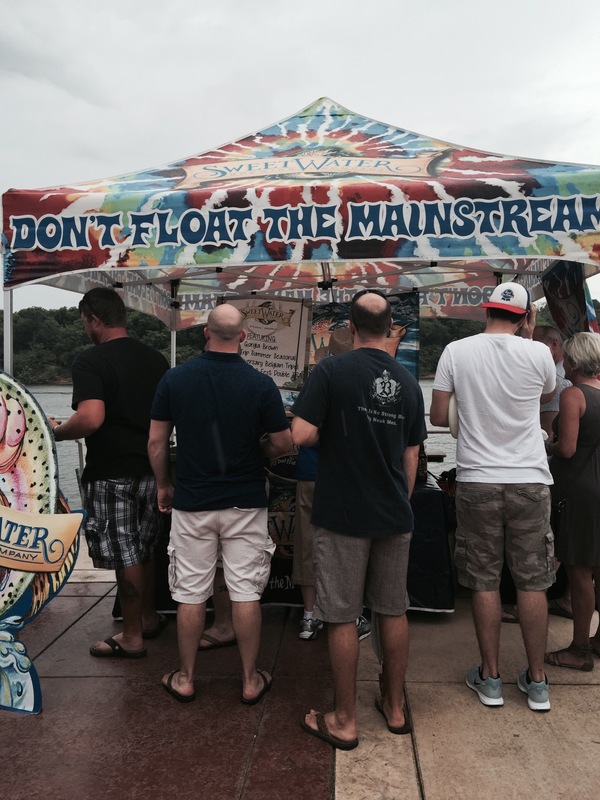 The third annual Riverbend Brew Fest was held in Montgomery, Alabama on the beautiful Alabama River. 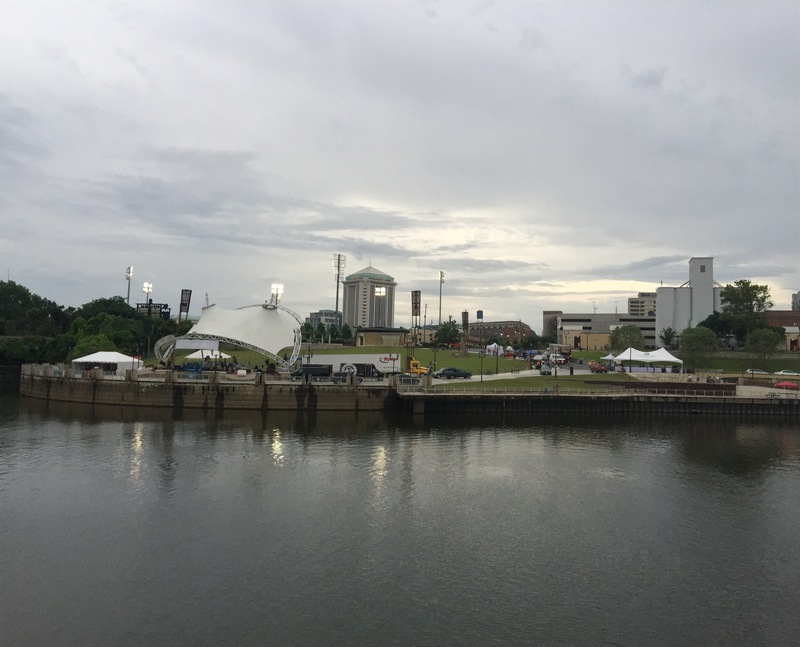 The sun gave way to some rain but did not dampen my enthusiasm to learn about micro and craft brews, take in some music, friends and a boat ride on the scenic river. The $25.00 entrance fee gained me a keepsake sampling glass. 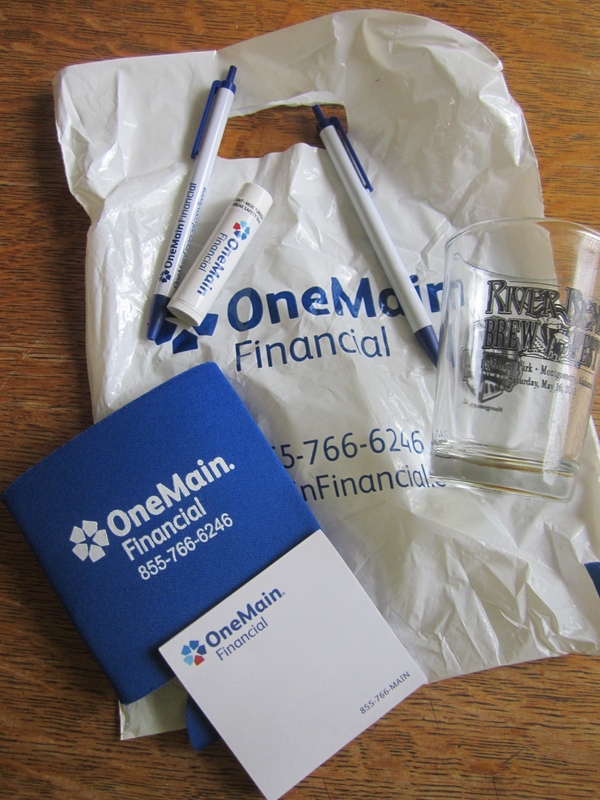 Welcomed by friendly volunteers, I was handed a bag which included pen and notepaper-Nice touch! From 3-6 p.m, I was able to use that glass to sample craft and seasonal beers,ales and ciders from local, regional and national craft, micro and specialty brewers. 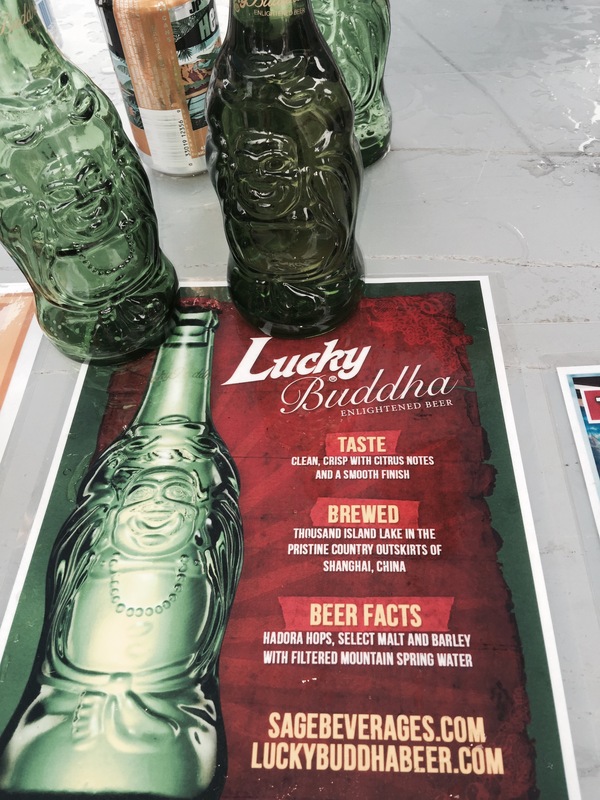 Lucky Buddah Enlightened Beer is brewed in Australia. I guess I could say that I tasted at an International event. This takes the prize for coolest bottle! 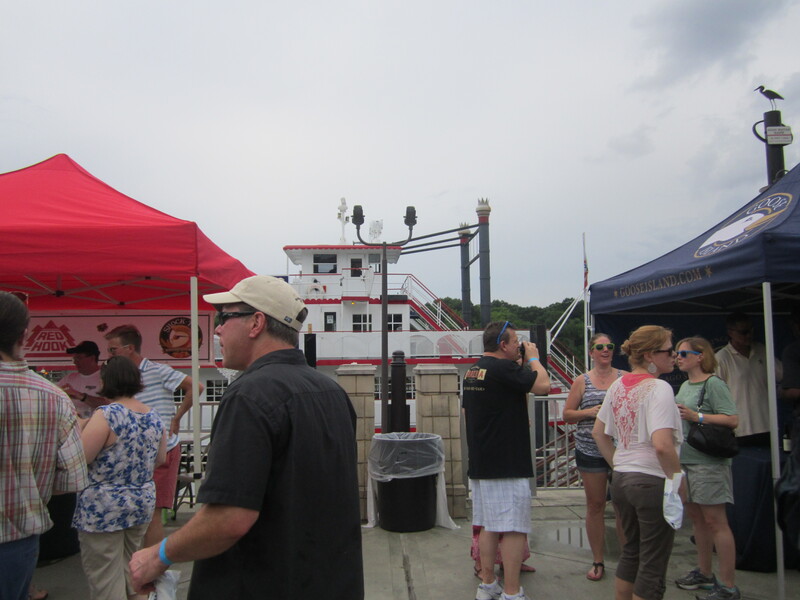 Along two levels of riverfront, with the Harriott II docked in the background, it was a fantastic setting. A really nice turn out with fun and friendly people. A great snap of what is on in the Alabama craft world, many wonderful and passionate brewers are dedicating to sharing their craft. It was fun to see how the brewers shared their product.It was so interesting to watch the folks share the love of their craft, and listen to the questions that participants ask. I also loved looking at the tents. Sweetwater had a pretty sweet set up. 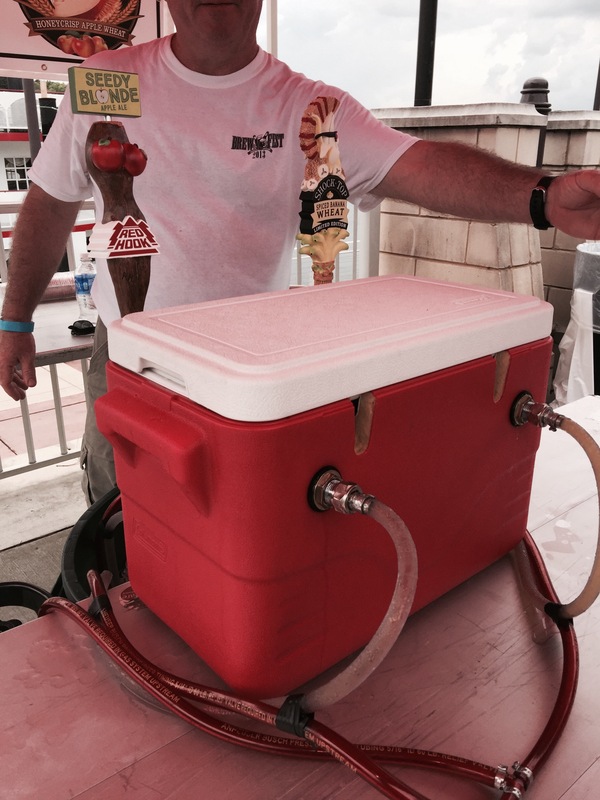 Sweetwater, you are sweet-Right on! YES PLEASE on the dessert! I had two personal favorites. My top favorite was a seasonal brew from Shock Top called Spiced Banana Wheat. It is brewed by Anheuser-Busch so I imagine it costs less than the $5.00 per bottle of the English Wells version. I am learning that I lean towards desserts. Who knew? I also loved Rammer Jammer. 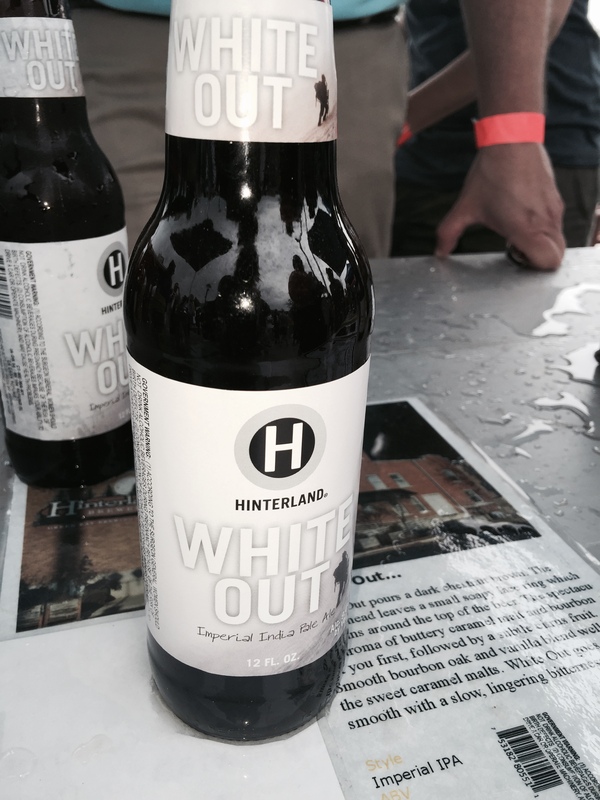 This is a light beer with less calories than Michelob Ultra. I learned later from my hairdresser that this beer is known to be the beer of a certain football team fans, and that the other team won’t drink it. Let me tell you orange and blue, you are missing out big time. Taste this beer, I mean it! Later, when I googled to try to verify this statement, I learned that this beer was created by two Alabama men and perfected in my home-state of Monroe, Wisconsin. and perfected by a brewmaster at Minhas Craft Brewery. So lighten up other team, literally. I will buy this to serve friends in my home. Rammer Jammer-Most delicious light beer ever! 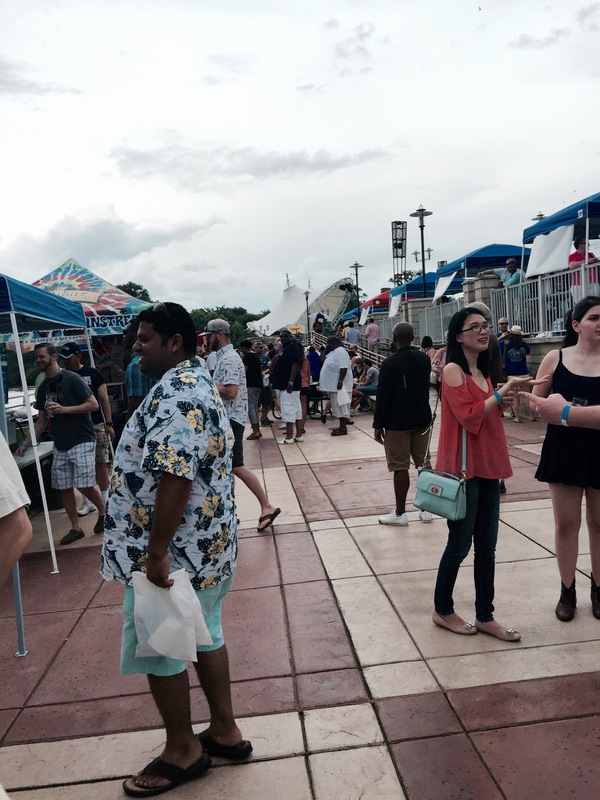 There was not a lot of food vendors available. 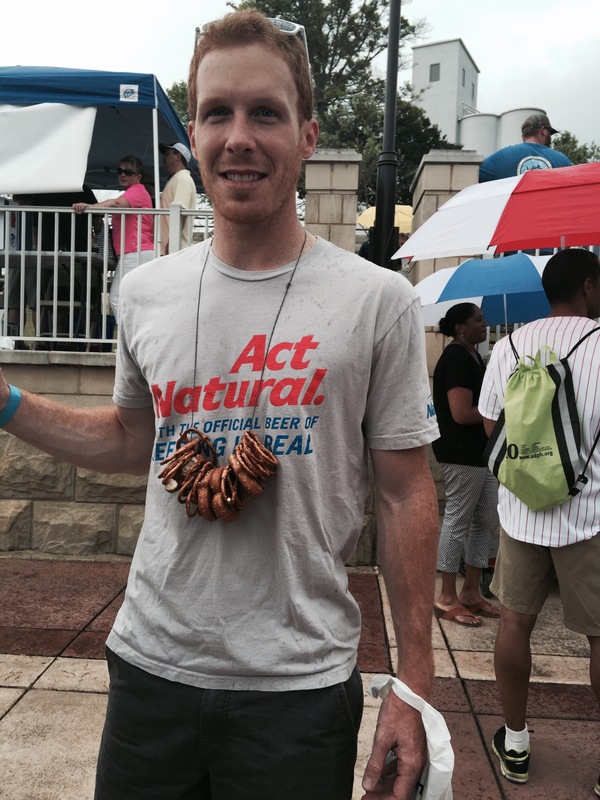 This sold out necklace was a huge hit! Thanks for pic nice young man! 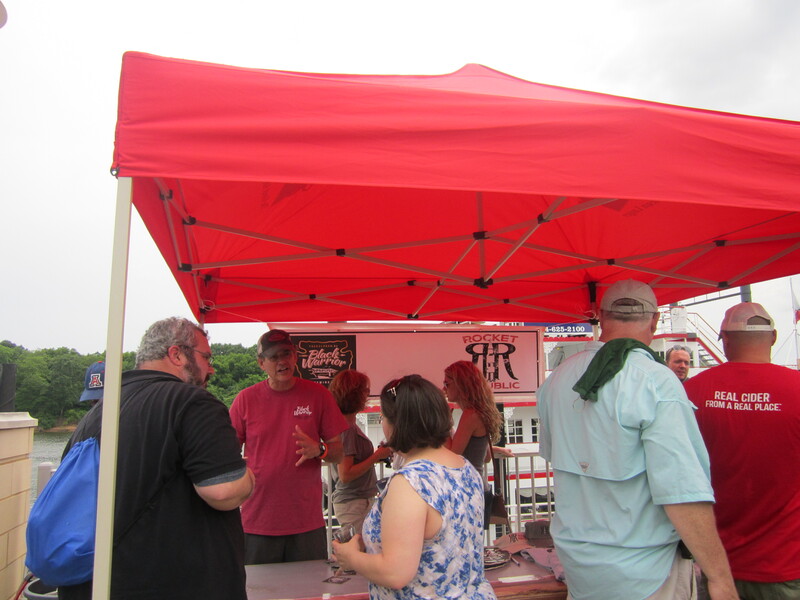 After the Riverbend Brewsfest, a “Brewscruise” aboard “The Harriott II.” is also offered. 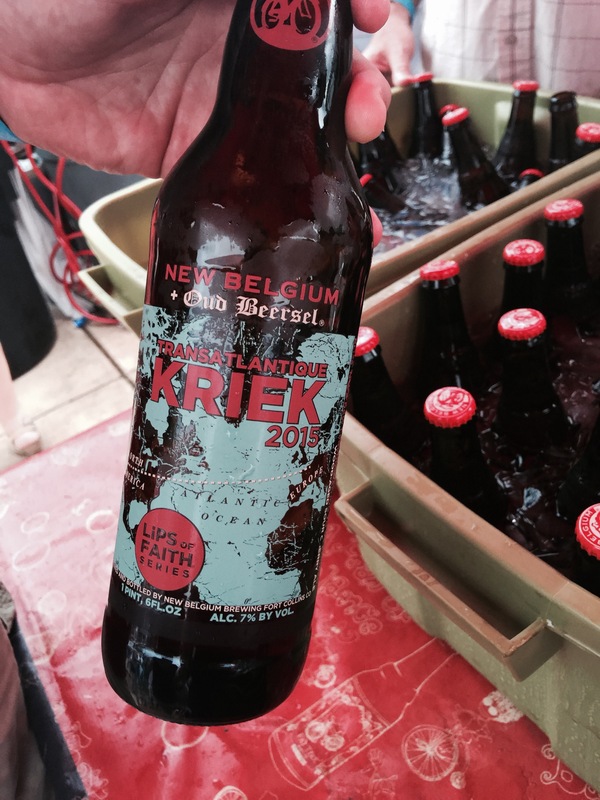 Not an extension of the tasting, beer was available for purchase. A band played while cruising the scenic Alabama River. Upon embarkment, more music was offered at Riverjam Festival in the beautiful Riverwalk Amphitheater at Riverfront Park. That is a lot of River words! It was a fun day in Montgomery, Alabama. Full of learning in a scenic spot with fun and adventurous friends. Everyone had a great time. Plan to get tickets ahead of time. They do sell out. 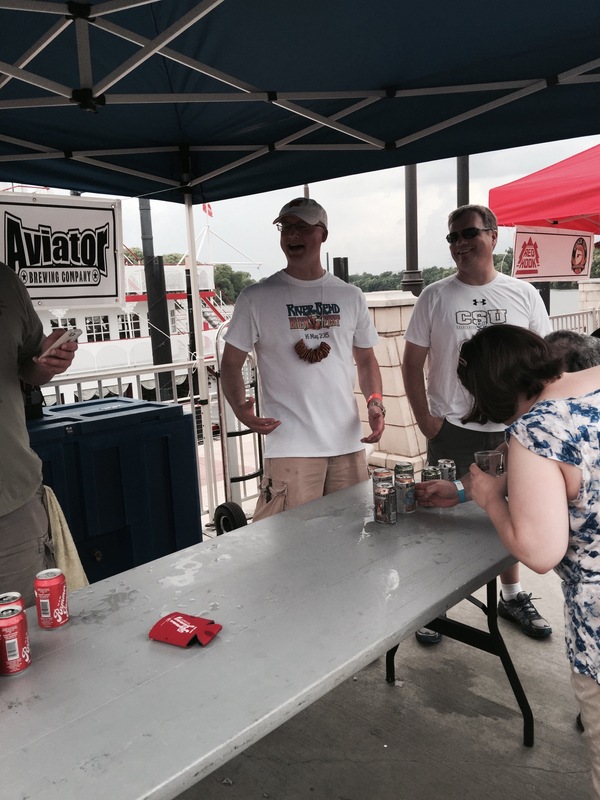 Because I had so many issues with trying to get the $10.00 “brewscruise” along with my ticket to the Brewfest, I would go in person next time. When I tried on-line without success, and then over the phone, the friendly person did know how to do the combination tickets to get the $10.00 rate. She had someone call me, who although friendly, had someone else call me,that never called me. In the end, my credit card was charged $55.00 for two cruise tickets. I would go in person or make sure that you get the proper rate. Had this gone smoothe, I would have given Meg’s 5 stars. Stay overnight or have a sober driver. Those little beers can sneak up on you pretty quickly. There was not a lot of food available for me. I am not sure which vendors may be there in 2016 but you may want to make sure that you have something in your stomach while you taste. Visit other Montgomery venues, restaurants and historic interests. I have written a good few blogs on this area. See keyword Montgomery. ← These “Stuffies” Have Major Tatertude”-Lawler’s- Meg’s #17 Stop on 100 Dishes To Eat In Alabama Before You Die.